Soft fruit - healthy or hazardous? Berries are often promoted as a healthy food and grabbing a punnet of blueberries may seem a darn sight easier than giving up smoking, cutting down on alcohol or taking daily exercise. Or indeed, easier than cutting down your total intake of fats and sugars. But of course it’s your entire dietary mix that matters, not whether or not you eat berries. Fresh berries are expensive because they are so perishable but packets of cheaper frozen berries have now become widely available. These are advocated for all kinds of “healthy recipes” in magazines and cookery books. They are also used by manufacturers to decorate ready-made frozen desserts such as cheesecakes. There have been two examples in the news recently of serious illnesses being contracted from eating frozen berries. In Sweden three elderly people died from norovirus, contracted from eating a frozen dessert that contained berries of Serbian origin in And in Australia, earlier this year, there were several cases of Hepatitis A, linked to frozen berries imported from China. Hepatitis A is linked to faecal contamination of food and norovirus can also be spread in this way. If we were to give the EU berry farmers the benefit of the doubt, we would envisage their fields and packing areas equipped with fragrant portable toilets and well-equipped hand washing facilities. We might confidently envisage that their staff induction sessions include training on the importance of hand hygiene. Whether or not all farmers reach these high standards I cannot say. If we let our imaginations travel further afield then we might be less optimistic about hygiene in berry fields and processing plants. Berries are delicious and if you have a garden, growing your own soft fruit is a great way to use it. Fresh soft fruit should be washed – but of course you can’t scrub a raspberry. As for imported frozen berries, they can potentially do you more harm than good. My advice is to avoid all uncooked berries if your immune system is compromised. And for everyone else, treat frozen berries as a cooking ingredient that needs to be thoroughly cooked before eating. Dr Denis Burkitt 1911-1993 is one of the unsung heroes of the healthy lifestyle. He gave his name to Burkitt's lymphoma, a previously unknown facial cancer, which he observed in African children. It’s an unusual cancer because it’s linked to a virus. It came to the attention of Western doctors many years later, when cases started cropping up in patients whose immunity was compromised by AIDS. His other claim to fame is at the other end of the medical spectrum - the importance of fibre in the diet. Before he published his book in 1979 there was little awareness of this. After its release there was a positive surge in the consumption of wholemeal bread, bran and muesli. Dr Burkitt observed that Africans rarely suffered from constipation or - more significantly - diseases of the digestive system that were common in the West. He concluded that the African diet, which was very rich in fibre, prevented constipation and so helped to prevent many “diseases of civilisiation” including bowel cancer. He would have been fascinated in some recent research in which African-Americans swapped diets for just two weeks with some black South Africans. Several significant changes were observed in gut bacteria and molecules associated with colon cancer. Acid reflux - alkaline diet? The growth of the Internet has enabled health myths to spread around the globe like a virulent strain of flu, infecting websites, books and the beliefs people hold about their health. One of the most prevalent is the alkaline/acid diet myth. This seems to have come about as a result of an unfortunate marriage between Western alternative ideas about nutrition and Oriental concepts about the medicinal effects of foods. There is no evidence to support the idea that following a diet dictated by these notions can prevent any illnesses, cure any diseases or improve health in any way. The pseudo-scientific explanation of those who preach this doctrine talks about acid-forming and alkaline-forming foods (sometimes referred to as acid and alkaline foods for short). One of the most confusing aspects is that an apparently arbitrary list of foods that supposedly makes your blood more acidic or alkaline. If you take fruits for example, citrus fruits are considered “alkalising” while cranberries and plums are considered “acidifying”. This leads to statements like “lemons alkalise the blood”. In reality the chemistry of the blood is self-regulating and can withstand people consuming pints of orange juice or several antacid tablets in a day. These dietary recommendations have nothing whatsoever to do with whether the food has an acidic taste or contains any actual acids, such as citric acid or ascorbic acid. Or indeed, whether they a high or low pH. An important scientific word has been seized and shaken it until it is unrecognisable. This belief system is doubly confusing when it is used to advise people suffering from acid-reflux. Someone taking medicine aimed at neutralising their stomach acid, or reducing its production by the glands of the stomach, really does not need this muddle-headed pseudo-science thrown into the mix. Yet there are many books and websites that promote these dietary ideas to this group of patients. 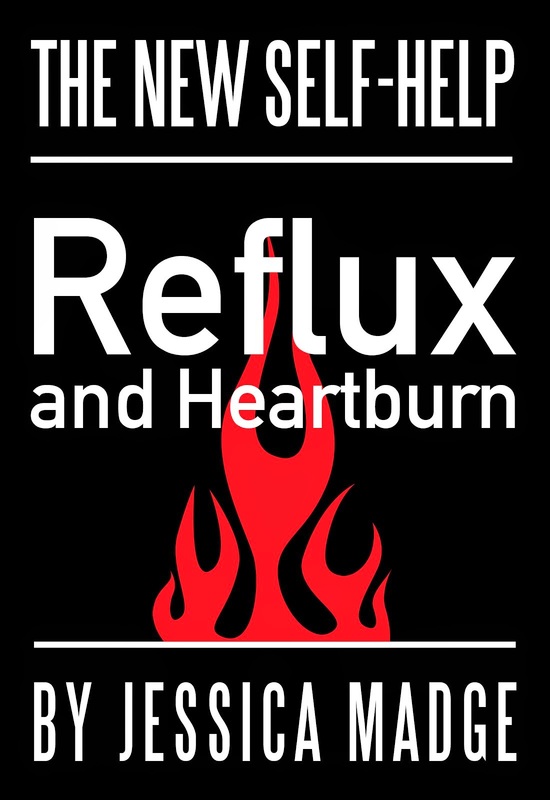 Reflux is caused by a weakness of the valve at the top of the stomach and not by an imbalance of the pH of the blood. There is very little evidence that any particular foods have a consistent effect on reflux symptoms. The best way for an individual to check if something disagrees with them is to give up just one food at a time, eat normally, and then re-introduce the suspect food for a day and note any effects. Then, as with all good scientific experiments, repeat this procedure a few times to check that the effect is consistent. Other than that, reflux patients should eat a high-fibre diet which seems to help, possibly because it keeps constipation and straining at bay. Straining, in someone with a weakened valve, will tend to push acid back up the oesophagus. The other important point is to eat a diet that prevents, or reduces any tendency to develop a bulging waistline. In this way pressure on that problematic valve will be kept to a minimum. Barrett's oesophagus - the best approach? The detection and management of pre-cancerous conditions is often controversial and Barrett’s oesophagus is no exception. Like cervical screening, it can raise anxiety in those who are told they have this abnormality. However detection of Barrett’s is not a cancer diagnosis. Somewhere between 1% and 5% of those with the abnormal cells go on to develop cancer of the oesophagus. Barrett’s is a change in the cells lining the oesophagus, thought to result from long-term reflux of acidic fluid from the stomach. Medical opinion is divided about the best way to proceed once the abnormality has been detected. Do you opt for surgery to remove the affected area or is it better to wait and watch, monitoring the oesophagus with regular checkups? Cancer of the oesophagus is increasing in incidence, while some other cancers become less common. But is it a good idea to screen the whole population or maybe a particular sub-group? The current method of checking involves a doctor performing an endoscopic examination and taking a sample of cells. A large team shared the work and concluded that, in most cases, the wait and watch approach is better. With more advanced cases though, surgery seems to be the best option. They also conclude that for men over 50, who have suffered from reflux for more than 10 years, screening is a good idea. A new method of screening is being looked at in a study funded by Cancer Research UK, which may make screening easier and cheaper. It involves the patient swallowing a sponge (a “cytosponge”), which is contained in a small, soluble capsule and attached to a string. A nurse can retrieve it to provide a cell sample. This is less invasive and presumably less expensive than a doctor taking a cell sample via an endoscope. Some interesting health news this week is that parents don’t seem to notice when their children are overweight. In a study of nearly 3,000 families, only four parents thought that their child was overweight. It also found that 31% of the parents tended to underestimate the weight of their child. Experts are agreed however that one in five British children are significantly overweight, so these results are cause for concern. How on earth do you motivate parents to turn this tide if they are just not seeing weight gain in their own offspring? One theory is that we have, as a society, lost our sense of what normal weight looks like. This is possibly true. Then there is the increased amount of cheap junk food available and the fact that children are less active than their parents were when they were young. I have a couple more thoughts about the reasons for this mismatch in parental perception, both of which are rooted in individual psychology rather than factors in society. You could take this a little further – although it this is just hypothetical. Assume Lorenz was right and that baby-like appearance stimulates nurturing. Part of nurturing is to offer food. If it looks like a baby – protect it and feed it! This is certainly the case in Lorenz’s beloved bird world. A parent bird sees the brightly-coloured gaping mouth of a nestling and stuffs in worms. So it’s just possible that the chubbier the child the more its parents are stimulated into feeding it. A bit like the hedge sparrow, frantically feeding a huge baby cuckoo that has taken over its nest. The other thing I’ve noticed is that parents (and doting grandparents) tend to think their own child is beautiful. It seems to be part of the human bonding process – a bit like when adults fall in love. When we go to the primary school concert we are not much interested in looking at the other children. We only have eyes for our own little darlings. Others may, in passing, seem pretty or plain, but our own are always the most beautiful in our eyes. Love, as they say, is blind and parental love is no exception. If these instinctive forces are at work, albeit fuelled by the availability of cheap junk foods, a decrease in activity and children’s cuckoo-like tendency beg for sweet treats, the increasing weight of children may be an even harder tide to turn. http://onlinelibrary.wiley.com/doi/10.1002/eat.2260150408/abstract This is a link to another study in which the majority of respondents were found to be basically satisfied with their child's physical appearance, eating habits, and exercise behavior.